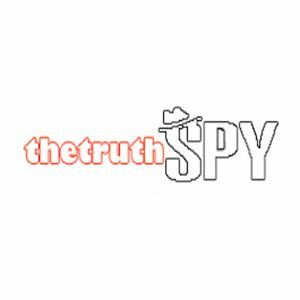 TheTruthSpy free trial for 48 hours! Try it for free now! Posted on August 7, 2015 by Tom Richardson Posted in Free Spyware . TheTruthSpy provides all new users with 48-hour free version that can be downloaded without necessity to buy and activate any license. In addition to that, any user may enjoy the benefits of refund policy offer that insists on the refunding the money within 5 days of using licensed version. With its free tracking software TheTruthSpy allows users to try each option that users of licensed versions enjoy. However, with the limitation of time (only 48 hours) it can be difficult to appreciate all the benefits of the app. The trial version of this spying application includes access to all the data kept at the target device, including photos, videos and keylogger for the passwords. You will be able to read Viber, SnapChat, WhatsApp, Skype, Facebook messages, and in fact, all the messages that the device receive no matter what is the source. Recording of the calls and environment is also included in the 48-hour trial package. You can install free spying app at any device that runs on Android and iOS. TheTruthSpy offers three packages of services which differ in price and features which a user receives. Using free spy software with trial version you will be able to determine which of the features he would use and which of them are not so important. That will help choose the most suitable package and use spying effectively. Even if you feel that 5 days is not enough to discover and estimate all the offered features, you may buy a license and in case you are not satisfied with the quality of provided services to ask for the refund. According to the refund policy of TheTruthSpy, within 5 days of buying the license you may claim a refund and receive your money back. However, in most cases 2 days is quite enough to understand that TheTruthSpy is the best software for online spying. As soon as you downloaded ThetruthSpy free trial on the target device you want to monitor activated it, you can login to your online account and start tracking of all phone activities. After 48 hours trial.. i must touch my spouse handphone agaon or not.. because it is dificult to acces to her handphone..
No, if you activate the trial version of the software on her phone once, you simply proceed with the payment after the trial period and continue its usage.